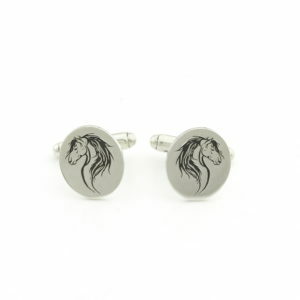 Cufflinks for Men | Shop Online Form Silvery.co.za | Free Delivery in SA. 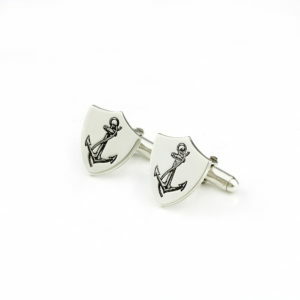 Shop a stunning range of Sterling Silver Cufflinks for Men from Silvery. 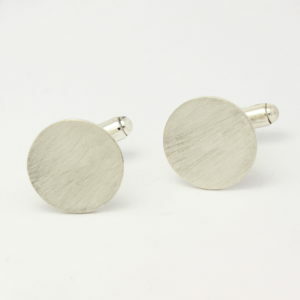 We create mens cufflinks from 925 Sterling Silver. 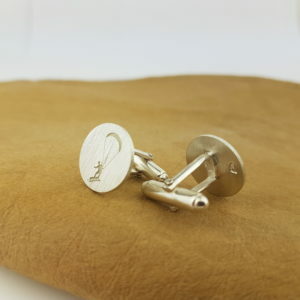 Each of our cufflinks are handmade by our jewellers. 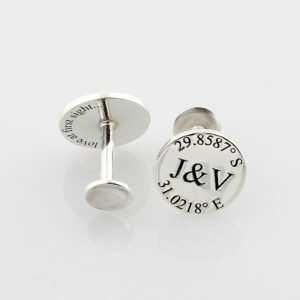 Each of our cufflinks are personalised by hand stamping or engraving. 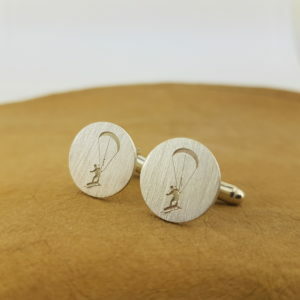 Hand stamped cufflinks are unique and personalised by hand. 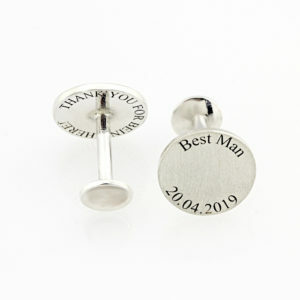 Engraved cufflinks are engraved by our laser engraver. 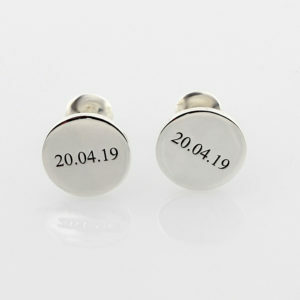 We have a selection of round cufflinks, engraved cufflinks and custom cufflinks. 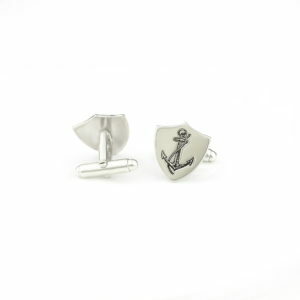 Our handcrafted range of cufflinks for men becomes the most cherished birthday gifts, gifts for dad or even groomsmens gifts. 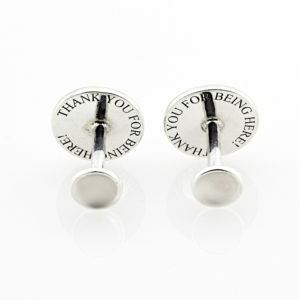 With our stunning range you will be spoiled for choice. 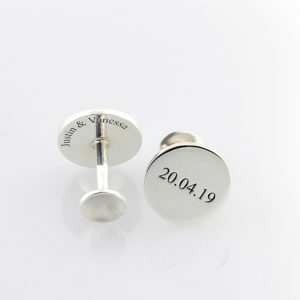 Each cufflink can be personalised with with names or even a date. 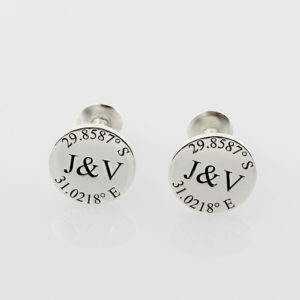 You can also add diamonds and create your own custom piece to make the perfect gift for your loved one.